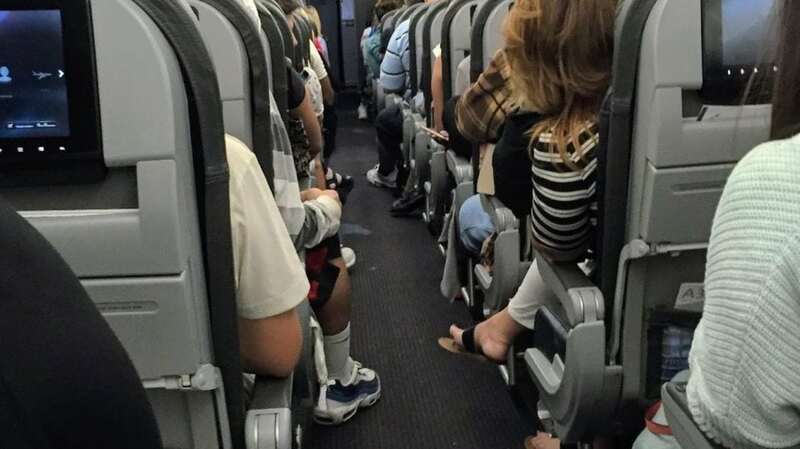 In response to a 2017 federal appeal court decision requiring the Federal Aviation Administration (FAA) to reconsider its denial of a FlyersRights.org petition to set minimum seat standards and stop further shrinkage, the FAA has now again refused to regulate seats holding that evacuation tests show no problems due to airline passenger comfort regardless of shrunken seats and larger passengers. However, the Federal Aviation Administration admitted that it does not actually test airliners for compliance with its longstanding rule that airliners must be able to evacuate within 90 seconds a fully occupied aircraft with half the exits disabled in low light conditions. Instead, the FAA states that it relied on partial demonstrations by Boeing and Airbus. Furthermore, it will not release the full tests for outside safety experts review and does not retain the actual video and detailed data of tests which aircraft makers claim are “proprietary” trade secrets. Each airline design must pass a one-time emergency evacuation test before it can be certified to carry passengers in the US air space. “These censored Airbus and Boeing video clips only show younger physically fit test subjects in exercise clothing stepping into the aisles. There is no showing subjects actually exiting any aircraft. There are no overweight, obese, elderly, infirm or children test subjects (or adjustments made for their absence), thereby excluding about 80% of US passengers. The tests are supposed to simulate panic as this is a major factor in efficient evacuation, but the videos show test subjects smiling and some laughing. The tests are supposed to require that 50% of carry-on baggage be in the aisles but the videos show this did not happen. There is apparently no supervision or direct observation by the FAA or outside safety experts. “Indeed, these evacuation ‘tests’ are so questionable that a large bipartisan majority of the US House of Representatives passed legislation in April mandating the FAA to set seat standards (now pending Senate action), and the DOT Inspector General (charged with investigating agency fraud, abuse, waste and misconduct) recently opened an audit of FAA evacuation testing. “Unfortunately, the FAA and other federal agencies have a history of weak regulation coupled with over-reliance on industry self-regulation. In 2001, the FAA, while in charge of regulating private aviation security enabled 19 of 19 terrorist hijackers to pass through security with permitted knife weapons resulting in nearly 3000 deaths. In 1988, while under FAA regulation, there were 270 deaths in the terrorist bombing of Pan Am 103 due to airline security failures. The EPA and NATCA similarly relied on fraudulent emission testing for Volkswagen autos for many years. FlyersRights.org, a nonprofit airline passenger organization with 60,000 members, maintains a staff office in Washington DC, publishes a weekly online newsletter, and operates a 24-hour HOTLINE (1-877-FLYERS-6) for airline passengers to report their experiences and receive advice and assistance.